Minimize health risks by assigning each student their own headphone. Each of these lightweight stereo headphones is stored in its own moisture-resistant storage bag and can be labeled with the student's name for easy identification. These lightweight headphones are so comfy they're often used for extended lengths of time as well as for assessments. 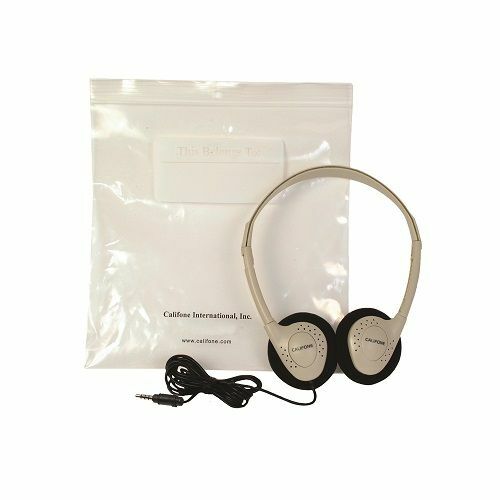 Individual headphone with bag, 3.5mm plug.